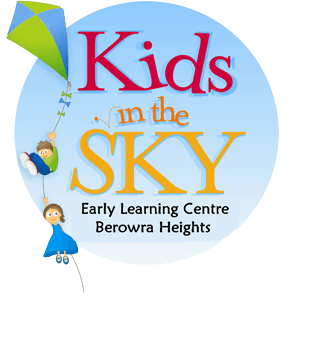 At Kids in the Sky our curriculum for all rooms is based on The Early Years Learning Framework for Australia. This program is a national early learning framework for children from birth to five years and you can find more information at the EYLF website. Educators will keep in touch with you regularly to discuss your child’s progress and if they feel there is an area of concern, they will inform you and advise where help may be sought, e.g. speech therapist. It is always your decision to follow this up. Educators are willing to discuss any aspect of development with parents. The Early Years Learning Framework (EYLF) has been developed to ensure your child receives quality education programs in their early childhood setting. This is a vital time for them to learn and develop. The Framework’s vision is for all children to experience play-based learning that is engaging and builds success for life. It is a guide for early childhood educators who work with children from birth to five years. They use the Framework in partnership with families, children’s first and most influential educators, to develop learning programs responsive to children’s ideas, interests, strengths and abilities, and recognise that children learn through their play. 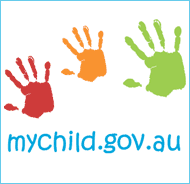 The Framework has been created and trialed by experienced early childhood educators, academics, parents and educators. It focuses on your child’s learning through their own play and educators at Kids in the Sky will work with you in order to get to know your child well. They will create a learning program that builds on your child’s interests and abilities, and keep you in touch with your child’s progress.